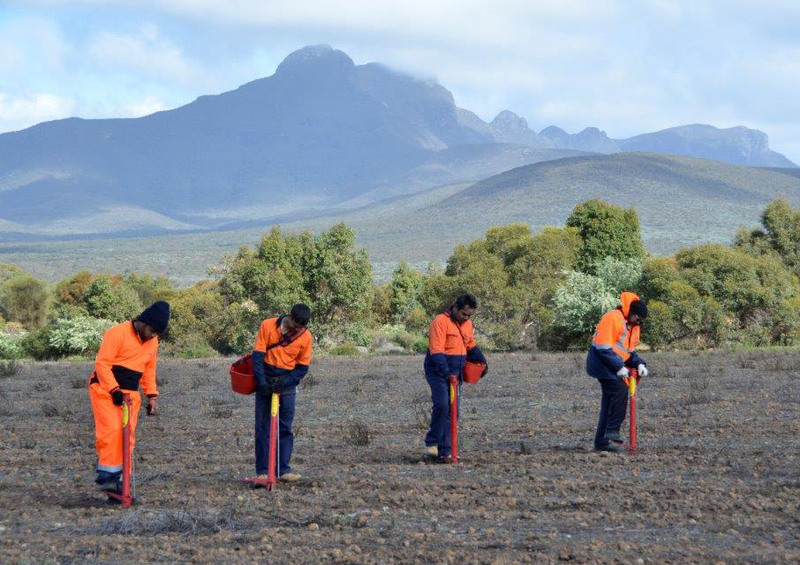 To restore habitat and heal country in Western Australia’s Gondwana Link landscape, we are working with Nowanup Rangers on a unique eco-cultural project. 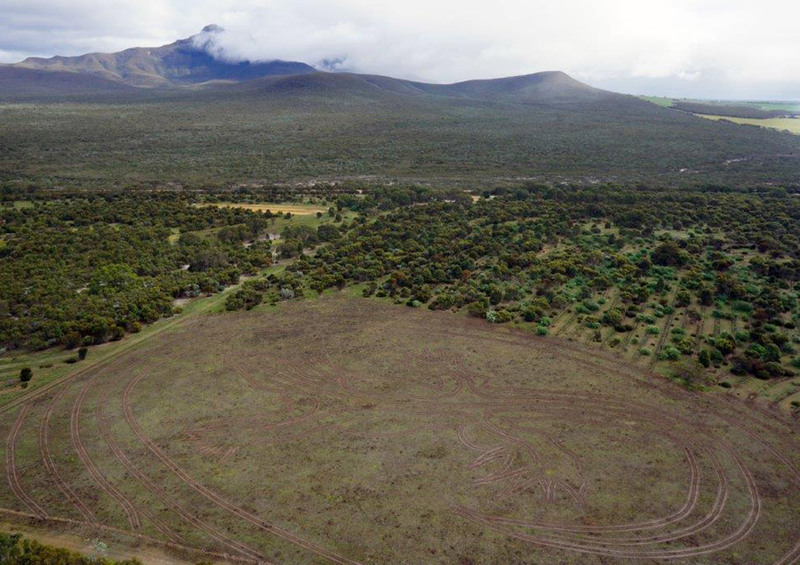 Under the shadow of the Stirling Ranges National Park mountains, giant animals including a 300m long goanna comprised of trees and shrubs are emerging from the ground and bringing life back to the diverse landscape. Incorporating traditional designs into the Gondwana Link provides critical recognition of the importance of Noongar culture, cultural healing and valuable employment opportunities. At the same time, the eco-cultural restoration approach recognises the age-old connection between the indigenous community, plants and animals, and the landscape. This is reflected in the use of native plant species to reconnect habitat so wildlife can move between the region’s national parks and help ensure the survival of endangered species such as the Carnaby’s Black Cockatoo. The local Indigenous community have been involved at all stages of the project, from initial concept to creation. Noongar designs were ﬁrst incorporated into the restoration at Nowanup in 2015 by Threshold Environmental and Noongar leader, Eugene Eades. Noongar Elders then selected the final designs and Noongar artist, Errol Eades designed the animals and shapes. Trees and shrubs were selected in collaboration with the community to reﬂect the project’s artistic and cultural vision. 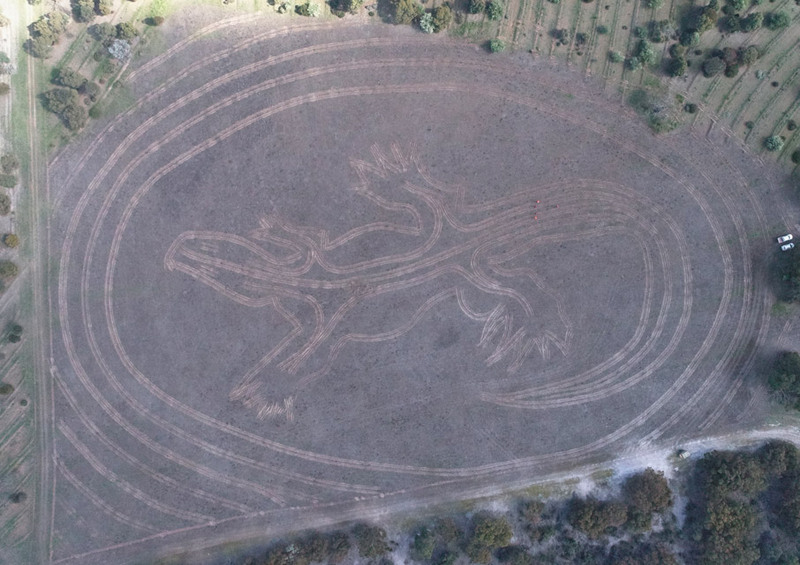 The Nowanup Rangers, are now planting thousands of seedlings in the designs to bring the animals to life, with drones being used to document the creatures as they emerge from the ground. The work forms part of Greening Australia’s broader, long term commitment to restoring the central area of the Gondwana Link. The project is funded by the Western Australian Government under the State NRM Program and supported by Royalties for Regions. 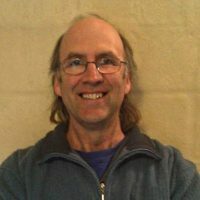 Barry has worked with Greening Australia for 10 years in a number of different projects in the Gondwana Link area including conservation action planning; compiling revegetation management and monitoring reports; revegetation implementation and managing a large-scale corporate partnership project.